Learn about parrots and enjoy some fun printable activities - including colouring pages, posters, worksheets and more - here at Activity Village! Parrots are well known for their brightly coloured plumage and for their ability to imitate human voices. Many breeds are excellent at mimicking most noises they hear, and African grey parrots are amongst the best talkers! There are around 372 different species of parrots, mostly living in tropical areas. Parrots are often seen as a pirate's companion in stories and films. Although there are no records of real pirates having pet parrots, there was a trade in exotic animals during the age of piracy. A beautiful, talking bird would have been worth a lot of money, so parrots probably were stolen by pirates along with other valuable items. Fun Fact: Some parrot species can live for over 80 years, and the oldest parrot lived to the ripe old age of 87! Can the kids complete the picture of the parrot on the left? We've provided a picture on the right so they need to study it carefully to work out what's missing. They can colour in the parrot once they've finished! Learn to draw a parrot with our simple step by step guide. A fun activity for any rainforest or bird project or perhaps at a pirate themed party. This lovely colourful parrot acrostic poem printable will help the kids to put pen to paper to write a new poem! Make this parrot colourful using crayons or coloured pencils. My favourite parrot is a bright blue Hyacinth macaw, but you can choose any colours you like! Help the kids learn their numbers from 1 to 10 with this fabulous parrot family jigsaw! Just print onto some card and cut along the vertical lines. Children can then use the numbers at the bottom to order the pieces. Colour in the parrot with some beautiful colours and then finger trace the word parrot underneath! Perfect for younger children. Copy our lovely parrot picture with the help of the square grid. Children can count the squares and copy the details of each one individually if it helps. This printable handwriting worksheet provides lots of writing practise, parrot fashion! Children can trace the word in a variety of ways then try writing it themselves on the bottom line. Here's a lovely parrot jigsaw to make and enjoy. Just print onto card, cut out using our jigsaw cutting guides, and give to the kids to put back together again. There are lots of uses for our lovely parrot notebooking pages, perhaps to record facts about parrots or for story writing. We have two versions to choose from - one has extra space to draw a picture. 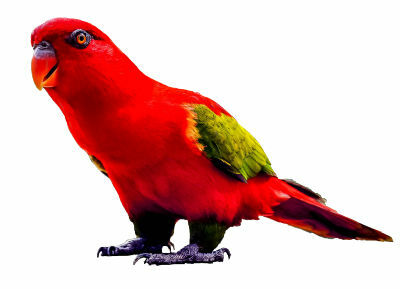 Parrots are a colourful and beautiful bird, and our parrot poster will brighten any display! Perfect to print and use for topics such as birds or pirates or for a tropical theme. This parrot spelling jigsaw is a fun way for children to learn the letters in the word parrot. We have two versions, a ready coloured version and one that kids can colour in themselves. Use our pretty story paper to write about this lovely parrot or to make up a story with the parrot as the central character. Don't forget to colour in the picture! Available as lined and handwriting lines versions. Our parrot word tracing activity is perfect for early learners and for practising emerging handwriting skills. Do some research and find out some simple facts about parrots for this fun worksheet - available in colour or black and white. Kids can use our parrot writing page for recording facts about parrots, writing a story (perhaps with a pirate theme? ), practising handwriting, and for lots of other things. Available in colour or black and white. There's a funny green cartoon parrot decorating this writing paper, which is available in three versions to suit all ages. This colourful parrot scene card will brighten anyone's day! Just print onto good quality A4 paper or card and fold in half, preferably using your printer's borderless settings. Here's a chance to colour our parrot scene card with some really bright colours - how about a bright blue Hyacinth Macaw with bright yellow eyes? Simply print onto card, fold in half then colour the scene! Blue, red, green, yellow, pink and grey - parrots come in nearly every colour, and often they are a mix of several colours too! Which will the kids choose for the parrots in this lovely colouring scene? Parrots are one of the most colourful types of birds on our planet, and this has to be one of our most colourful posters! It will look delightful printed out and stuck on a wall as part of a display about birds or a tropical theme. Kids can use our delightful illustrated parrot scene story paper as inspiration for their own stories, then they colour in the lovely picture too. Choose from the download links below depending on which version you prefer.